Watching the 2000 film Memento again, I realized that high-turnover volunteer organizations such as booster clubs suffer from serious amnesia. In the film, 30-something Leonard can’t create new memories because of brain trauma suffered during an assault. Imagine a person who can’t remember the lessons of the past, or the opportunities set to present themselves in the future. Lacking a system of good record-keeping, that’s the situation of most booster clubs. 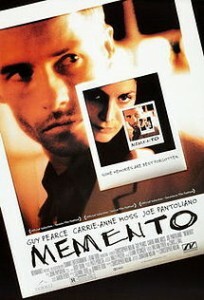 In Memento, Leonard compensates for his severe symptoms. He develops a method. His systems of record-keeping allow him to pursue his mission (vengeance against his wive’s killers) despite the “high turnover” of his mind. Leonard’s character isn’t family friendly (see this trailer), but unlike Dory from Finding Nemo (who has a similar memory problem), he relies on himself and his system. On Boosterland.com, I write about booster clubs. But Memento’s organizational lessons are applicable to any high-turnover, seasonal, or volunteer-based nonprofits. In the case of booster clubs, many board members join when their children are in high school, and quit when they graduate. They don’t often stay longer than four years. Leonard’s amnesia—his inability to store memories after a few hours—is a good allegory for booster clubs’ lack of institutional memory. By the same token, the systems he creates to compensate for forgetfulness inform booster clubs’ search for solutions. Like Leonard, nonprofits have a mission that requires forward thinking based on lessons learned. For example, I spoke with one booster club that was revisiting a decision to outsource their snack shack to a vendor. (Years before, volunteers staffed it.) Due to poor record-keeping—consolidated deposits and no notes—they had no idea how much the snack shack had made in the past. They couldn’t compare the volunteer-led revenue to the vendor’s revenue. Therefore, they couldn’t make an informed choice about renewing a contract with the vendor. As with Leonard’s foil character, the systemless Sammy Jankis, their imperfect memory got in the way of smart decisions. Annotated Snapshots: Leonard takes Polaroid pictures of the people he meets and the clues he finds. The photos don’t mean anything on their own. He contextualizes each snapshot with a caption. Your organizational snapshot may not be a photo. 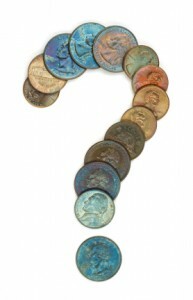 It might be a financial report, a donor list, or a record of the income and expenditure of a fundraiser. Label it, date it, and avoid abbreviations or first names. Include contact information. Hopefully, in five years, when your replacement goes to organize your annual fundraiser, they can see which vendors you used, who volunteered, who sponsored, and what they gave. 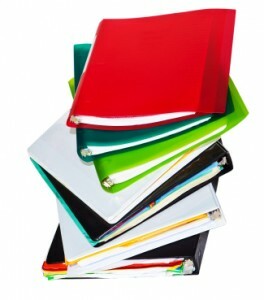 Your Org’s “Pockets”: Leonard doesn’t keep a journal; he’d likely lose it. Instead, he keeps recent notes in his pockets. When he “wakes up,” in a new place, not remembering how he got there or what he’s been doing, he reaches into his pockets. 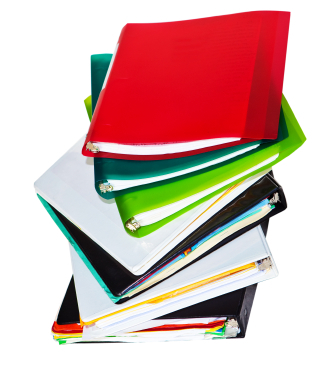 None of your board members should rely on journals either… certainly not paper ones. Instead, they should take advantage of technology that wasn’t widely available back in 2000. When integrated with cloud storage services, communications, record keeping, and financial reports are much easier to share and organize. However, with any software account you still have to find a way to pass on user names and passwords—potentially with no transition between volunteers. And that’s where “tattoos” come in. Facts and Tattoos: Once Leonard knows something for certain he tattoos it on his body. Tattoos are the medium of his mission statement; his charter; his standard operating procedures. In the film, tattoos cover his skin, from one on his chest that announces his revenge mission, to another on his right forearm which outlines a system for notes. Your organization also needs a body, that is, a vessel, for crucial information. A booster club might keep their usernames and passwords with the principal of their school, along with any sensitive financial records or donor lists. The point is, if you keep everything organized and accessible, the disappearance of a single club member—even the temporary dissolution of the whole board—won’t set future fundraisers back to square one. That last scenario—the dissolution of a whole booster club board—actually happened in a school district in California. Sometimes the disbanding of a booster club is a good thing, such as when their school’s funding issues are resolved. But in this case the dissolution resulted from a squabble with administrators. I interviewed the treasurer who resurrected the club a few years later. She had to start the club from scratch. But these worst-case scenarios aren’t the only reason to keep good records. When you keep track of things like Leonard does, you’ll find that transitions are smoother, picking up projects is easier, and your nonprofit will run more efficiently. Standard Operating Procedures (SOPs): “Never answer the phone,” reads one tattoo on Leonard’s right forearm. He’s easily deceived over the phone if he “wakes up” in the middle of a call. A dozen more tattoos include practical advice, and standard operating procedures for a memory-deficient detective. SOPs and job descriptions allow booster clubs to lessen the blow of high turnover. I’ve seen some booster clubs do this extremely well by investing time to create detailed and useful documents for incoming volunteers. In some cases they’ll not only list every single potential responsibility of a board member, but also SOPs for each job. For example, “make sure to start calling sponsors at least eight weeks before the tournament.” SOPs and detailed job descriptions are important even if there’s a solid transition between volunteers. Transitions will never be able to cover every situation. Incoming volunteers will never remember everything presented to them, and outgoing volunteers will undoubtedly fail to mention every recurring task. Beyond the tips about record-keeping that I listed above, there are of course a few that don’t fit into the allegory of Memento and Leonard. In other posts I’ve recommended, among other things, that you keep your records consistent. For example, if you organize a fundraiser, record the costs and revenue with the same format, rows, and columns as previous records. This system makes them easier to compare. Also, with regards to “tattoos”—your vessels of information—you want to make it simple. If no one on your board knows how to use a particular web service you should find another system, even if that system involves stacks of paper and a single rusty cabinet in your school’s office. Have any suggestions about record-keeping? How does your club handle transitions? Ever had an unexpected drop-out that hurt a fundraiser? Let me know in the comments.